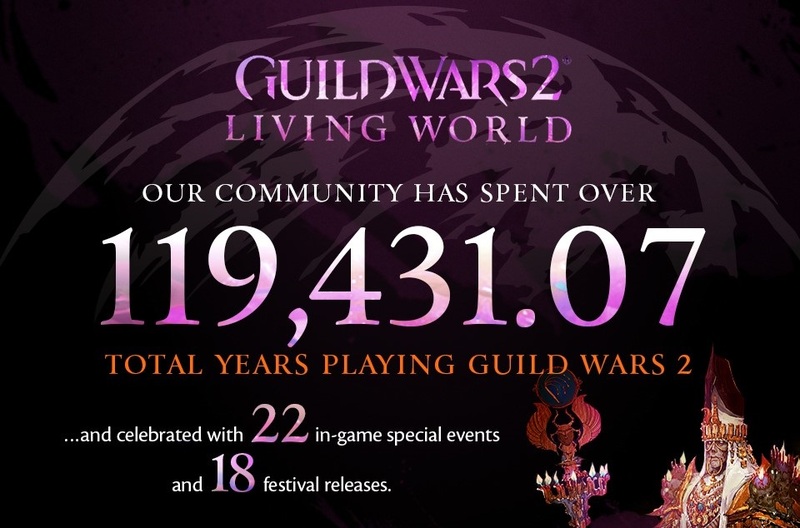 Guild Wars 2 released six years ago today and in order to kick off the celebrations, ArenaNet have shared a new video that showcases how the team realized their expanding ambitions for their Living World. Each season has brought with it new story content and locations, new PvE instanced raids and Fractal challenges, countless balance patches and improvements to PvP, and even seasonal in-game festivals with unique rewards and events. Most recently, the third episode of Season Four, Long Live the Lich, added the Roller Beetle mount, a speedy dune-hopping companion who is the first mount to debut in a Living World episode. ArenaNet also hosted an anniversary live stream today with developer guests, interviews with Guild Wars 2’s voice actors, and special video tributes from the Guild Wars community that can be seen here.